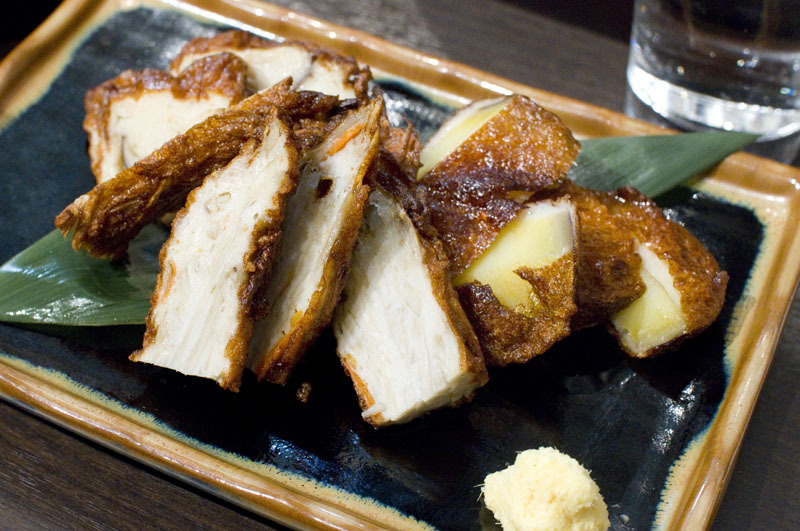 While it may look similar to a hundred other boisterous drinking spots in this office-building zone, Mondo turns out far better food and drink than your typical izakaya, at remarkably budget-friendly prices. 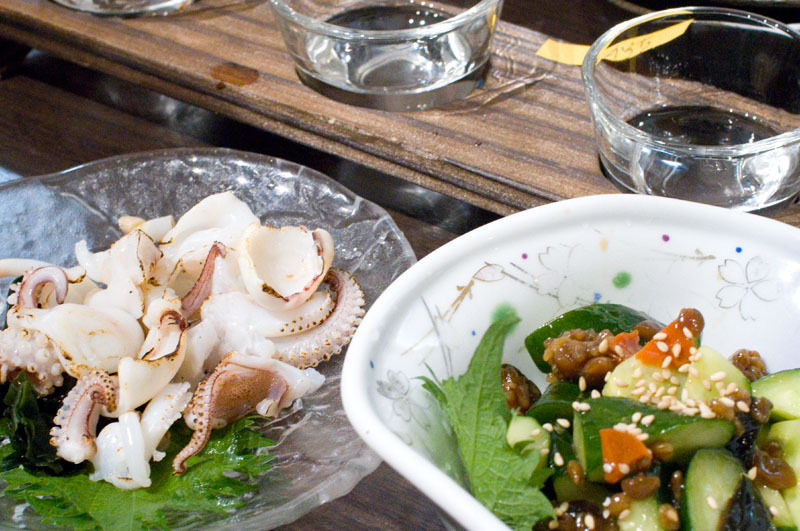 The specialty here is regional cuisine from Shimane Prefecture, with some interesting dishes you won't find elsewhere in town along with excellent craft sake. The sashimi platter of the day showcases seafood flown in direct from the Shimane region, and it's an excellent place to start. 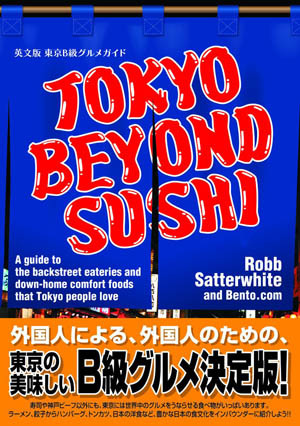 More exotic seafood dishes include tasty crabmeat croquettes, geso aburi-yaki (tender grilled squid tentacles), and three different types of satsuma-age fritters, made with flying fish and incorporating burdock root and sweet potatoes. There's also plenty of grilled fish, and half a dozen mackerel dishes. 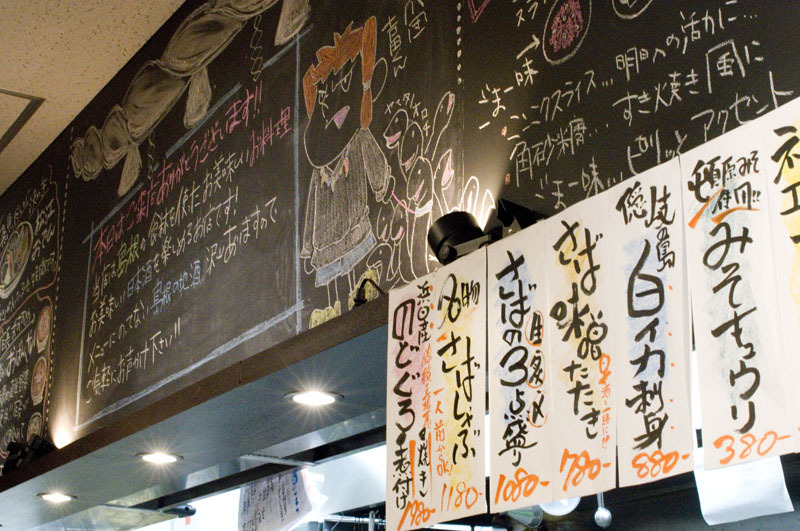 Local heirloom-breed pork and chicken and locally raised beef have their own menu sections, and you can sample a selection of local Shimane-style oden and kushi-katsu (deep-fried skewers of meat, seafood and vegetables). At lunchtime the focus is on Izumo Soba, another regional delicacy. 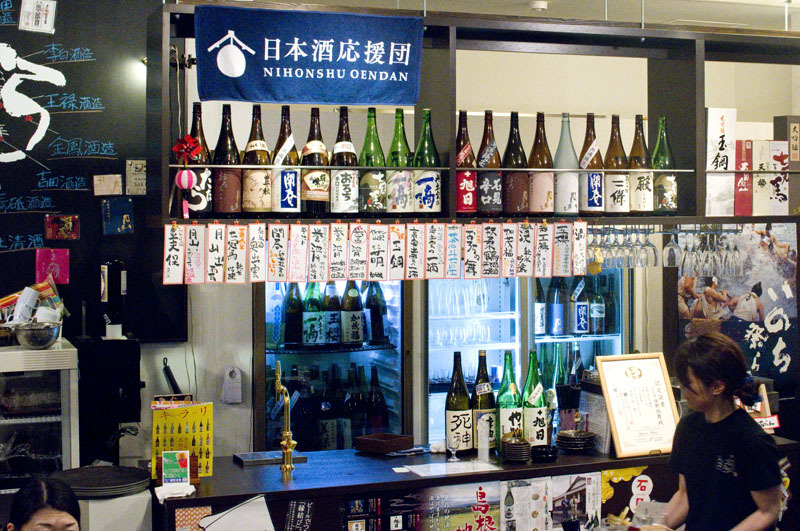 Although the regular drinks menu lists only a few sake, we discovered that strolling over to the bar area gives you access to a much larger selection, with forty or so labels from small craft breweries across Shimane Prefecture. Tasting-size glasses (90ml) are just Y500, and the bar staff can help with recommendations (in Japanese). 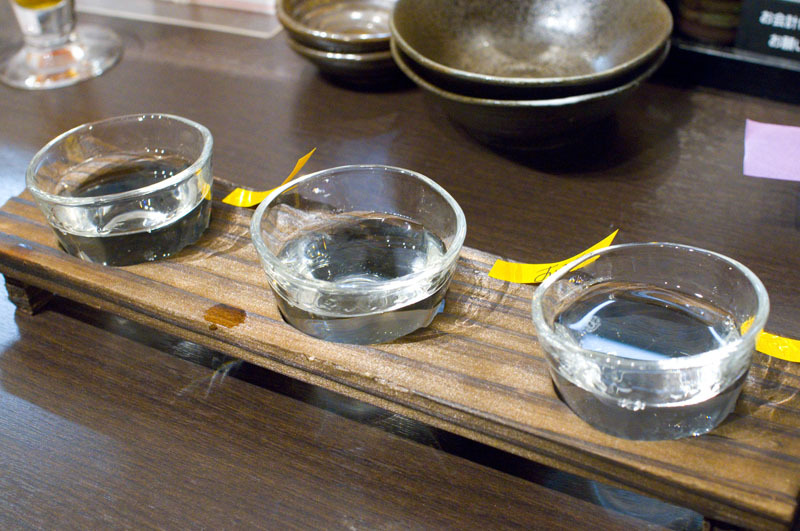 There are also inexpensive three-part tasting flights of some pre-selected sake, although we found these less interesting. The dining room is quite large, with floor-to-ceiling windows at the back overlooking the river, and a comfortable counter area off to one side. (There's also a smaller and more intimate branch of Mondo a few minutes north of here, next to the antenna shop.) Service is friendly and efficient, and there's an English-language menu, although it seems to be more limited than the Japanese version. 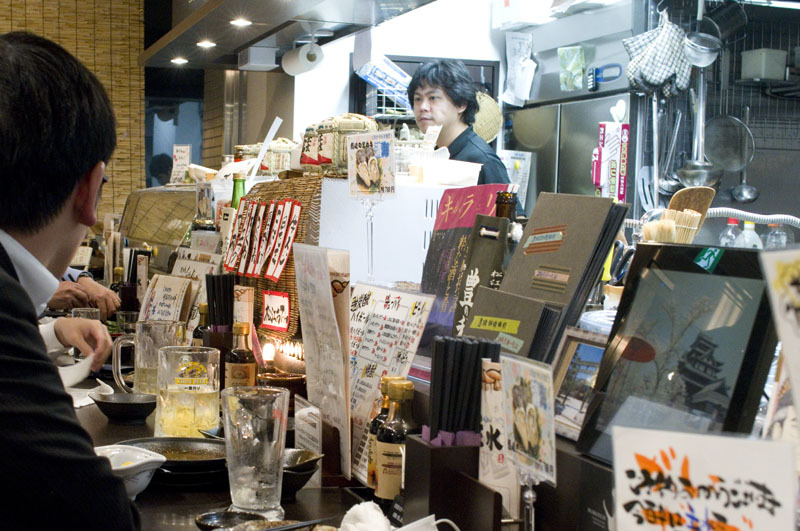 The restaurant is affiliated with the Shimane-ken Prefectural antenna shop, which helps explain the abundance of freshly imported ingredients and the very reasonable prices. Budget around Y3000-4000 per person for ample food and drink.